June Ambrose attends the book celebration for "Makeup Your Mind: Express Yourself" by Francois Nars at Cedar Lake on May 24, 2011 in New York City. June Ambrose was carrying a gold zip-around wristlet at Francois Nars' book celebration. 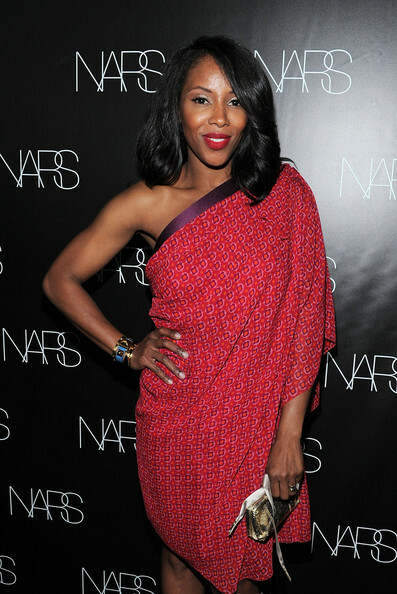 June Ambrose went out to see the book launch of Francois Nars' 'Makeup Your Mind: Express Yourself' wearing a printed one-shoulder dress.